Late last month, Apple’s 12,000 employee workforce began to move into the technology company’s new 2.8-million-square-foot headquarters in Cupertino, California designed by architects Foster + Partners, according to a press release. 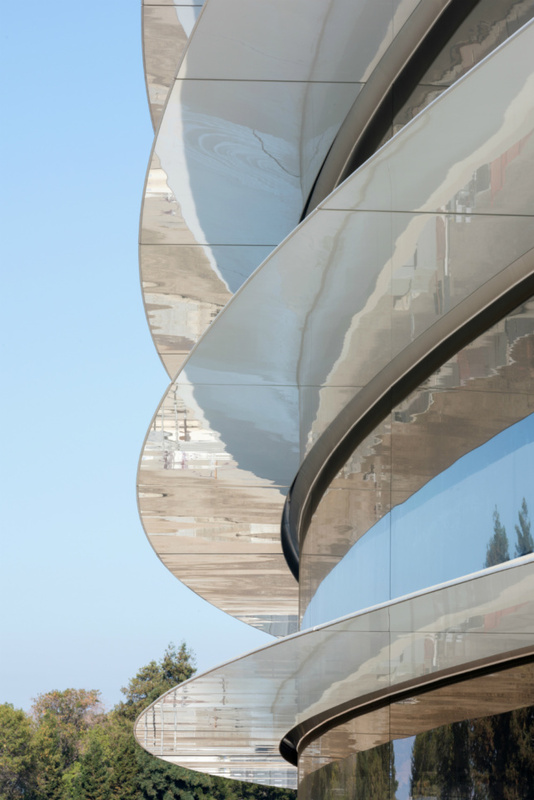 The move-in process will take a full six months to complete, capping off the over eight-year long saga involved in transforming an old parking lot into the so-called “Apple Park” complex, which Apple has dubbed as founder Steve Jobs’s “last product launch,” according to Wired. Jobs initiated the quest to build the new headquarters in 2008, a project that consumed him until his death in 2011. 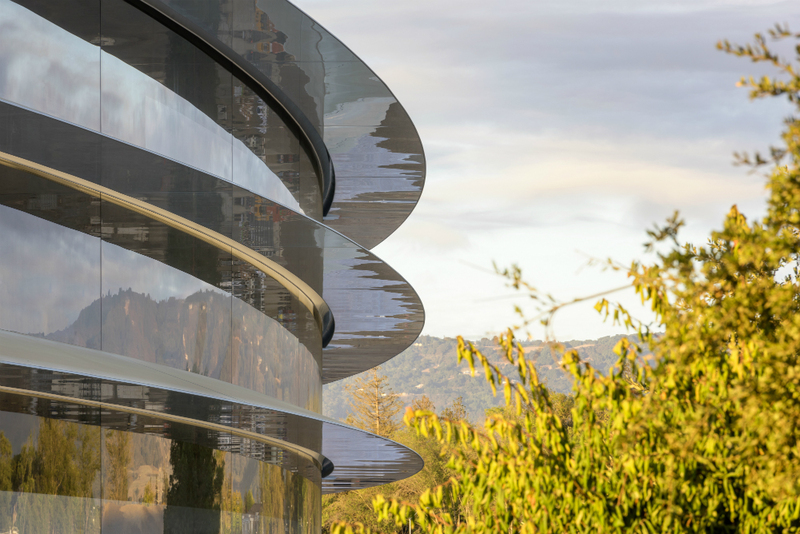 To commemorate the end of construction for the $5 billion project, Apple has released several images of the completed complex, a building that contains the largest operable glass walls in the world, among its other superlative qualities. The donut-shaped office complex is located at the center of a 175-acre wooded site that has been reengineered by a series of earthworks and has been re-planted with over 9,000 specimens of drought-tolerant flora, including fruit trees. As if the building were a spaceship that had landed on its site, the highly-constructed landscape finds its way into the building’s donut hole-shaped courtyard, where it is accessible from the office spaces. The site arrangement comes from Jobs’s penchant for taking country walks in nearby areas; the office’s grounds contain over two miles’ worth of walking paths, among other features. The main, four-story building is topped by slightly-gabled roof containing an 805,000-square-foot solar array that provides much of the power for the complex. The arrays are interrupted by a continuous, protruding light monitor that facilitates the building’s passive ventilation strategies. The building is not mechanically ventilated, but instead relies on a combination of convection cooling and thermal massing provided by radiant heating and cooling systems to regulate its internal climate. On one end, the building is punctuated by two pairs of four-story-tall hangar doors—each of which weighing 440,000 pounds—that are controlled by silent mechanical equipment embedded underground. Those apertures convert an interior, two-level yoga studio and cafeteria area into a massive outdoor room. The glass doors—and the curved glass curtain walls along the exteriors of the project—were fabricated by German fabricator Seele Group. The yoga studio and its attendant 100,000-square-foot wellness center will offer healthcare and dental services for Apple’s employees.